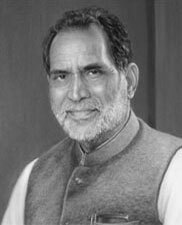 Shri Chandra Shekhar was born on July 1, 1927, in a farmer’s family in village Ibrahimpatti in District Ballia, Uttar Pradesh. He was President of the Janata Party from 1977 to 1988. Shri Chandra Shekhar was attracted to politics from his student days and was known as a fire-brand idealist with revolutionary fervour. After his Master’s Degree in Political Science from Allahabad University (1950-51), he joined the Socialist Movement. He had the privilege of having been associated very closely with Acharya Narendra Dev. He was elected Secretary of the District Praja Socialist Party, Ballia. Within a year, he was elected Joint Secretary of the U.P. State Praja Socialist Party. In 1955-56 he took over as General Secretary of the U.P., State Praja Socialist Party. In 1962, he was elected to the Rajya Sabha from Uttar Pradesh. He joined the Indian National Congress in January 1965. In 1967 he was elected General Secretary of the Congress Parliamentary Party. As a Member of Parliament he made a mark by taking keen interest in espousing the cause of the downtrodden and pleading for policies for rapid social change. In this context, when he attacked the disproportionate growth of monopoly houses with State patronage, he came in conflict with the centres of power. He came to be as ‘Young Turk’ leader for his conviction, courage and integrity in the fight against vested interested. He founded and edited YOUNG INDIAN, a weekly published from Delhi in 1969. Its editorial had the distinction of being among the most quoted ones of the time. During the Emergency (June 1975 to March 1977) YOUNG INDIAN had to be closed down. It resumed regular publication in February 1989. He is the Chairman of its Editorial Advisory Board. Shri Chandra Sekhar has always stood against politics of personalities and has favoured politics of ideology and social change. This propelled him more towards Shri Jayaprakash Narayan and his idealist view of life during the turbulant days of 1973-75. He soon became a focal point of dissent within the Congress Party. When Emergency was declared on June 25, 1975, he was arrested under Maintenance of Internal Security Act inspite of the fact that he was a member of the Central Election Committee and Working Committee, top bodies of the Indian National Congress. Shri Chandra Sekhar was among the few individuals in the then ruling party who was imprisoned during the Emergency. He has always rejected the politics of power and opted for the politics of commitment to democratic values and social change. His diary, written in Hindi while undergoing imprisonment during the Emergency period, was later published under the title ‘Meri Jail Diary’. A well-known compilation of his writings is ‘Dynamics of Social Change’. Shri Chandra Shekhar undertook a marathon walk (Padayatra) through the country from Kanyakumari in the deep South to Rajghat (Samadhi of Mahatma Gandhi) in New Delhi covering a distance of nearly 4260 kms from January 6, 1983 to June 25, 1983. The Padayatra was undertaken to renew rapport with the masses and to understand their pressing problems. He has established about fifteen Bharat Yatra Centres in various parts of the country including Kerala, Tamil Nadu, Karnataka, Maharashtra, Madhya Pradesh, Gujarat, Uttar Pradesh and Haryana to train social and political workers for mass education and grassroot work in backward pockets of the country. He has been a Member of Parliament since 1962 except for a brief period from 1984 to 1989. In 1989 he successfully contested both from his home constituency, Ballia, and the adjoining Maharajganj constituency in Bihar. He vacated the latter. Shri Chandra Sekhar is married to Smt. Duja Devi and has two sons, Pankaj and Neeraj.